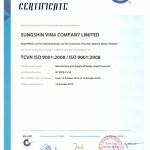 On October 15, 2013, Sungshin Vina Co., Ltd officially received ISO 9001:2008 about Quality Management. 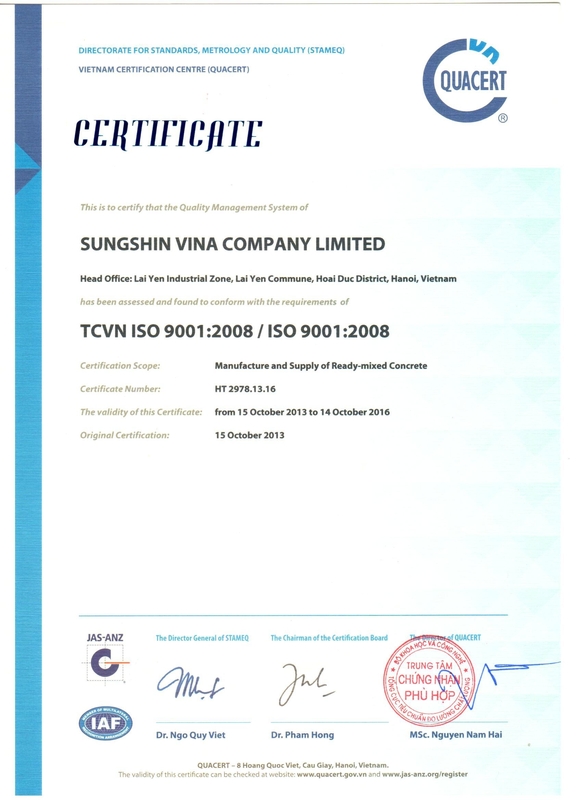 After the best efforts of staffs and Company Leaders in workflow and production process, in October, 2013, Sungshin Vina Co., Ltd has built successfully Quality Management System according to ISO9001:2008 in high quality concrete field. 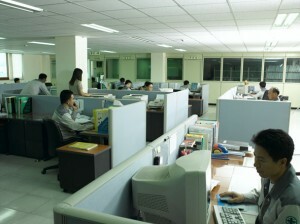 ISO Certificate is the strong commitment of Sungshin Vina Co., Ltd to all customers about product quality and service. Beside the maintenance of efficiency of Quality Management System, our Company will further endeavour in improvement of workflow to enhance effect and provide better products and service.